Hooray beer! An 8,000 sqft. 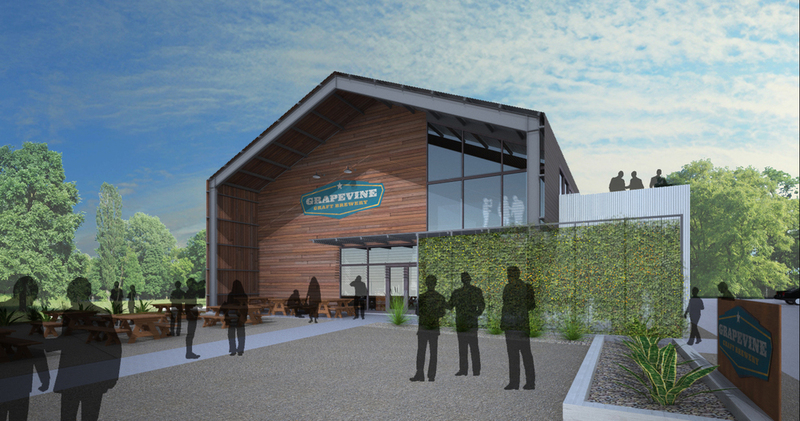 brewing facility for the Grapevine Craft Brewery. A prefabricated steel frame defines the hanger-like form that encloses a brewing area, administrative offices and a tasting room that spills out to a beer garden. Required parking is pushed to the side of the lot, allowing the beer garden to front the street. A front porch with large wood clad wall serves as a billboard to advertise the GCB brand.